Finding the right chair can be very difficult, and especially if you want to find one that can fit within your budget. Sure, you can save a lot of money in the short-term, but will it last long enough to be ergonomic and comfortable? This list of the best office chair under $200 won’t hurt your wallet, and you’ll be comfortable while being productive. In this buyer’s guide, we took a look at some of the best adjustable and ergonomic mesh material office chairs for under $200. We’ve done the homework for you, spent hours reviewing mesh chairs, so you don’t have to. The office chairs that made the list have exceptional comfort, a range of adjustments, and very ergonomic at an affordable price. Of course this wouldn’t come near anything like a zero gravity chair, but would still be very comfortable as a mesh office chair. One of the most highly rated mesh office chair in the budget category, with multi-function mechanism with independent seat and back adjustment. The Lorell Executive Computer Back Mesh Chair offers a lot of features at an affordable price, great for anyone on a tight budget. Despite it being just under $200, this budget-friendly office chair is surprisingly versatile from an economic standpoint. The Lorell high-back chair comes with adjustable pneumatic seats depending on the person’s height from 17″ to 21″. The chair has tilt tension where you can recline your chair back. The lumbar support is also curved to fit your natural spine. And finally, armrest is padded and the height and width can be adjusted to make it feel more ergonomic and comfortable. The Lorell’s mesh cover is designed for airflow and helps regulate temperature. This is especially appreciated during hot summer times, or when you’ve been sitting for hours. The chair’s seat dimension is 21″ wide by 19.5″ depth, and the measured height is from 17″ up to 21″ from floor to the top of the seat. The bottom of the seat (at its lowest) is 14″. The Lorell executive mesh chair also offers excellent maneuverability, with the chair base and casters that can swivel 360-degrees to move around your office effortlessly. If you’re on carpet, you may want to get a floor mat, suitable for your office. This specific one is reinforced glass so your chair’s wheel won’t sink down. The office mesh chair that is built with comfort using 6″ of seat cushion, perfect for everyday use. The Modway ergonomic mesh office chair features breathable material, passive lumbar support, and a generously padded and contoured 6″ thick mesh seat cushion, giving you the comfort you need if you’re sitting in front of a computer all day long. This chair can hold up to 330 lbs, making this chair one of the most durable and supportive office chairs for only under $200. The chair’s dimensions iare 26.5″ in length, 26″ in width, and the height ranges from 37″ to 41.5″ tall. The armrest height is from 27.5″ to 32″ tall. The backrest height is 22″ tall. The casters on this chair allows you to move effortlessly, even on carpet. It is built with a sturdy two-tone base for design. The Modway Articulate Mesh Chair adjusts to your needs, and provides a great deal of comfort and ergonomics, with adjustable armrest and one-touch chair height adjustment. High end design with headrest and footrest features for max comfort, also perfect for a gaming chair. This Hbada recliner mesh chair can be mistaken or confused for another high end office chair, with its ability to recline and having additional features such as a headrest and a footrest. This chair is simply gorgeous to look at, and being under $200, we believe its an incredible buy. The contemporary ergonomic black mesh promotes increased air flow, keeping you feeling cool and comfortable during long sessions. The seat cushion is sloped slightly downward to help reduce some stress on your legs. The Hbada Black Recliner Mesh Chair headrest can be adjusted to keeping you in the right sitting position. The built in lumbar support combined with the rotatable headrest protects your neck and waist, and ensure that you’re in the correct sitting posture. The sitting area is 26.8″ length x 26.8″ width, and the chair’s height can be adjusted from 17.3″ up to 20.5″, measuring from floor to top of the seat. The height of the entire chair, from floor to top of headrest is measured from 45.7″ to 50.4″. The suggested height for this chair is for 5’10” individuals. A great alternative chair to the more expensive, Herman Miller Aeron task chair, with similar features and adjustability. We found that this chair is an excellent alternative to the Herman Miller Aeron task chair, where it has similar lumbar support at a fraction of the cost. The Cedric Furniture Mesh Chair has strong structure and breathable fabrics, giving you good comfort and experience. This chair’s feature of the adjustable headrest is designed to fit a large group of people with the highest comfort. You can adjust the height of the headrest as well as rotating it, depending on your comfort level. The area of the seat is 25.3″ in width and 20″ in depth. The chair allows you to raise 3.1″, from 16.5″ to 19.6″. The total chair height is 46.8″ and at its maximum is 59″. Although, this isn’t exactly like the more expensive chair, but for the price, we believe that it has some of the features that we think you’ll be satisfied with. Unlike a lot of office chairs, this allows you to lock your back position at a 135-degree angle. With a large selection of colors, this chair can match within any of your office decor. The chair has a cool, and breathable mesh back with contoured seat cushion with a waterfall edge design to help with leg pressure. While the back has great ventilation, it is also great for the lumbar support, and is designed to be ergonomically shaped for your natural back’s curvature. You’ll be able to adjust the armrest’s height and width. This allows anyone with any size (just under 250 lbs in weight – the limit of the chair) to be able to buy this product and still be comfortable. The pad’s material is a soft polyurethane, allowing your arms to be comfortable all day long. The Alera Elusion Mid-Back Chair is great for those that uses the chair for short periods of time. Although, its not built to last very long, we still think that this is a great and comfortable chair compared to a lot of other mesh office chairs on the market. Even though the max weight limit is 250 lbs, we recommend this chair for anyone under 200 lbs, to keep this chair lasting longer. Finally, the range of the adjustable seat height is approximately 18.75″ to 22.5″, giving you about 3.75″ of height range. Another affordable alternative high back mesh chair with adjustable lumbar support, head rest and flip up arm rest. A unique lumbar support feature allows the back support to be raised up and down depending on how your comfort level is. This allows the chair to be comfortable to a larger range of people. Combined with the lumbar support is the adjustable headrest, where it can be rotate (but not adjustable for its height or tilt), this chair is great for anyone looking for something on a really tight budget. The ergonomic back design is built to fit your back and relieve any stress during work hours. The mesh allows you to prevent body heat and moisture build up. The chair has a flip up armrest and can be customized according to your needs. This is one of the best selling chairs on Amazon, and has been backed by positive reviews of how comfortable and definitely better than most cheaper chairs. The Kadirya LCH Office Chair’s height can be measured from 17″ up to 20″, giving you 3″ of play room. The chair is easy to assemble, and the caster wheels works very smoothly even on carpet. The basic and simple ergonomic mesh chair for complete airflow to keeping you cool when using. This breathable mesh seat has a one-touch pneumatic adjustable seat height, giving you the ability to raise the chair to your most comfortable position, effortlessly. The Office Star Mesh Back & Seat is designed with a unique tilt system, a 2:1 ratio, giving you better circulation and weight distribution. The chair is great for people who is under 250 lbs. 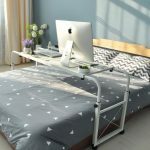 It has a minimum seat height of 17.75″ and maximum seat height of 21.75″, giving you 4″ of adjustable height difference. The arm rest can only be flipped up to give you more freedom on your elbows. The arm rest is also padded, in case if you do need it to rest your arms for a long period of time. Finally, the chair does not rock or lean back with a locking position, however, you can adjust the tension via a knob underneath the chair. The casters can move in 360-degrees motion and is smooth, allowing you to move around easily. The office mesh chair with a headrest and adjustable lumbar support with a unique coat hanger. 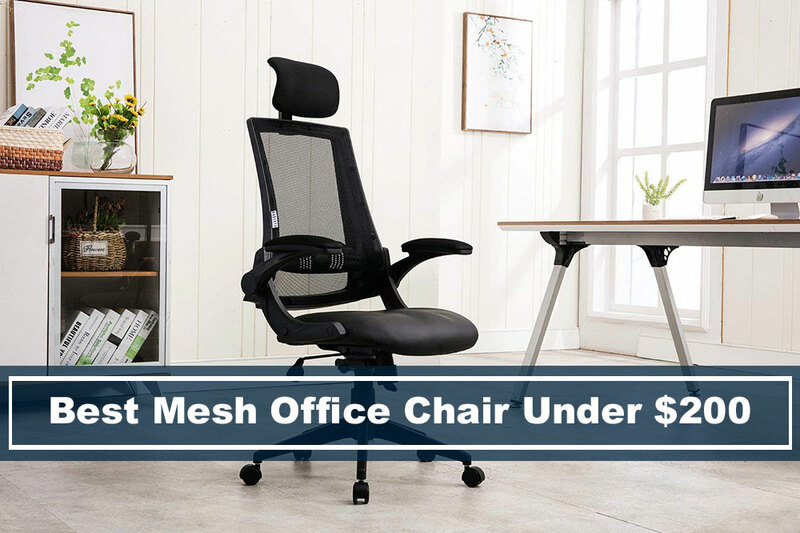 One of the most well-rounded office mesh chairs on the market, with a budget under $200. Like all the other chairs, this comes with adjustable 3D headrest, armrest, and lumbar support. Despite this being a very affordable chair, it is packed with a lot of features, such as the 3D headrest and the unique coat hanger. The headrest not only allows you to adjust its height and tilt, but you can also rotate it, making it easy for you to get comfortable in. The back of the chair also has a hanger, allows you to put bags or clothes on. For more comfort, the TOPSKY’s Mesh Computer Chair armrest can be adjusted by its height. If you’re a taller person, you’ll need to level the armrest a little higher. You’ll be able to adjust the armrest about 3″. If you feel like you need to relax and recline, you’ll be able to lock your reclining position anywhere within 145-degrees. The dimension of the seat is about 21″ width by 20.3″ depth. The height of the chair can go from 17.5″ up to 21″, giving you 3.5″ of height levels. A mesh designed office chair is great for those that sit long hours, but also want airflow, preventing from sweating in unwanted areas. This is particular great when you work in really hot climate, or during summer time. However, we do encourage that people take small breaks and walks when working at a desk for long periods. 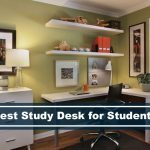 If you don’t have time to take breaks, there are options like setting up a stand up desk environment, giving you the freedom to use your ergonomic chair and stand up periodically when you need to. In addition to taking breaks, mesh material office chairs lasts longer because of its material and lumbar support. These chairs are designed to keep the shape of the headrest and your back supported, because lower back pain is a growing trend because in this modern society, we’re mostly in the office now. Spend a little cash, only $200 to greatly enhance your posture and decrease your chances of neck and back pain. 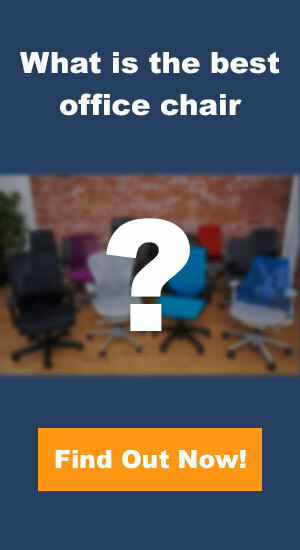 Which is the best mesh ergonomic office chair under $200? The seven ergonomic mesh task chairs we provided in this review have been rated highly and proven by us and other customers when it comes to budget office chairs under $200. We also know that a lot of great chairs can cost much more than that, but we feel like you can get almost the same ergonomic features and durability at an affordable price. The Lorell Executive Office Chair is a great all around budget chair, with a few compromises. The Cedric Furniture Office Chair is our second choice that comes with an adjustable headrest and you’ll also be able to adjust the lumbar support. If you’d like a full recliner chair, we suggest the Hbada Ergonomic Office Chair. The Hbada not only looks beautiful, but can also recline further than the other chairs on the list.